If you’ve landed on my page and happen to be looking for Miami’s best Art Basel (Miami Art Week) parties, you’ve come to the wrong place. I’ve been writing about art fairs for the last four years and to me, it’s the most wonderful time of the year! Why? Because for less than the price of an airfare, you have a chance to see art from all over the world, talk to the gallerists and sometimes meet the artists. If you spend too much of that time attending parties, you won’t have the energy to survive the art trek mileage. So here I go, jumping into the Google pool of listicles with an “A to Z” where I’ll be this year. Put on some comfortable shoes and join me on the trip! 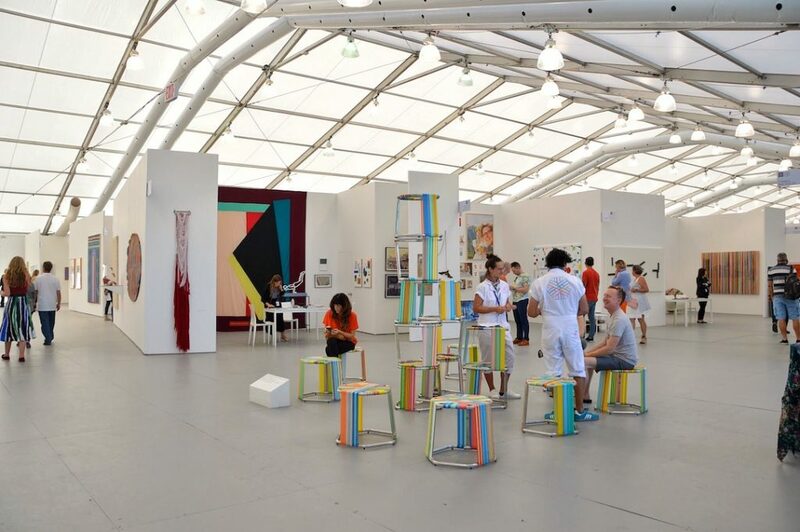 If you’ve never been to an art fair before, start with Art Basel in Miami Beach. 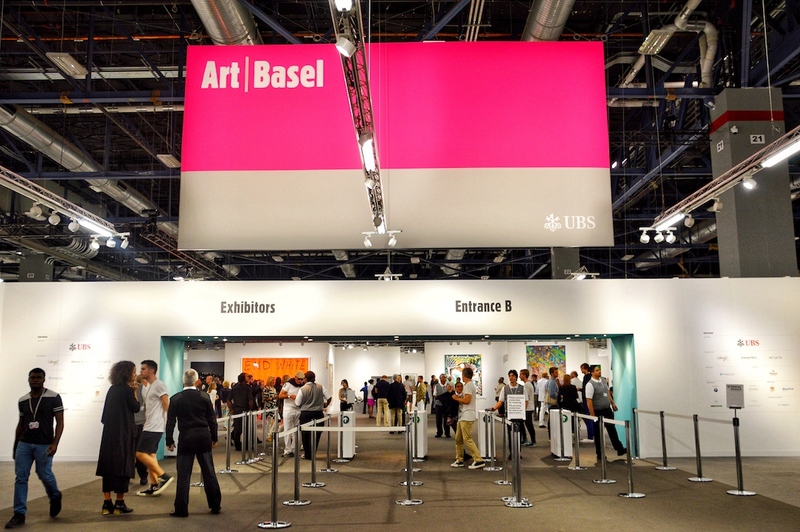 After all, Miami would not be the western hemisphere’s premier destination for art collectors that it is, if Art Basel had not debuted in 2002. Besides a chance to visit 268 leading galleries representing 35 countries, you’ll get to see the completed renovation of the Miami Beach Convention Center. Rather than walk in and figure it out, I suggest you download the Art Basel app and mark the galleries that you wish to visit ahead of time. If there is a particular artist who you like, search by his/her name and it will show you which gallery represents that artist. As a journalist, I’m fortunate to have the opportunity to attend the press conference and preview, but if you want to try to beat the crowds, attend one of the morning Conversations and then enter the fair. There will still be a line, but this quiet time sets the tone for an inspiring visit. I was disappointed to know that there won’t be a Public sector (the outdoor art installation at the Bass Museum) this year, but you may want to check out the multidisciplinary installation, ‘Autorreconstrucción: To Insist, to Insist, to Insist…’ by Abraham Cruzvillegas. The project which is an Art Basel partnership with curator Phillipp Kaiser and The Kitchen, takes place in the Grand Ballroom and is free and open to the public: December 6 – 9 at 3:00 and 5:00 p.m. This year, Art Miami and its sister fair CONTEXT Art Miami are presenting their 29th edition and the second year located at the site of the former Miami Herald building. It’s impressive to say the least, and there’s something about the infiltration of natural light and bay views that makes this new setting very relaxing. 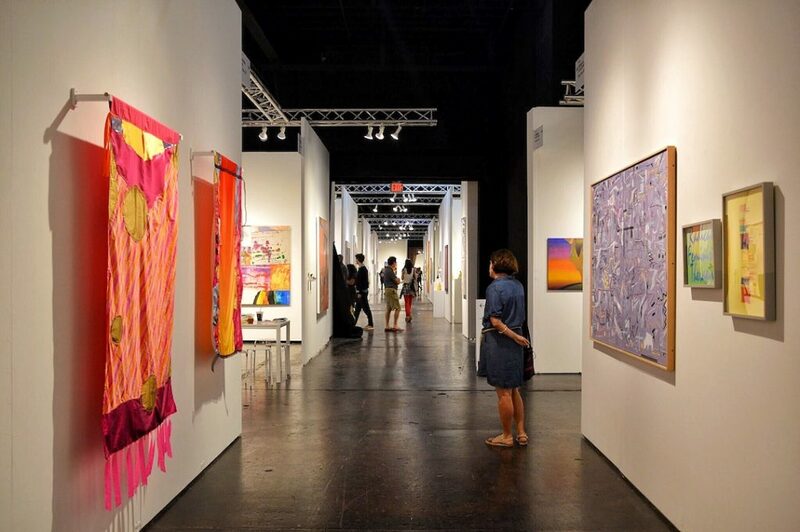 Now although Art Basel in Miami Beach did change Miami’s art world landscape, did you know that Art Miami is the original and longest-running contemporary art fair in Miami? Expect to see significant artworks, projects and installations from over 160 galleries from almost 30 countries. Although I have yet to visit CONTEXT, I have visited Aqua Art Miami located at the Aqua Hotel. If you’re not in the art collecting big leagues, here’s a great place to start your art collection. You’ll find works by young, emerging and mid-career artists. I love Design Miami and if I had an unlimited interior design budget, here’s where I’d be home shopping! Focused on high-end design, areas are aesthetically pleasing and full of inspiration. If you’re lucky enough to afford it, whatever you buy will be collectible and often a one-of-a-kind investment. I know that nobody seems to like the term: “functional art,” but to me there’s nothing nicer than owning a piece of art that can be enjoyed in many ways and not just looked at. This year, plan to visit the Curio exhibitions which are small-scale, immersive installations presented by brands, galleries, and designers alongside the gallery program. There will be eleven new presentations. 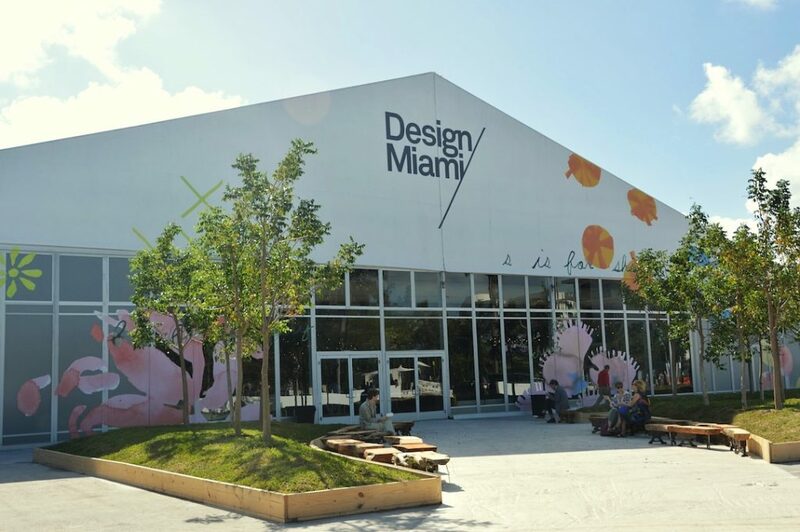 Pedro Reyes and Carla Fernández, recipients of the 2018 Design Miami/Visionary Award will present a retrospective of their work that focus on design with a social dimension such as addressing social justice and peacemaking, as well as the emphasizing the importance of handcrafted products in a world where automation is replacing humans. There will also be about thirty-two galleries from all over the world with booth exhibitions. I visited NADA (New Art Dealers Alliance) for the first time last year. I enjoyed the smaller venue (Ice Palace Studios) and the intimate feel. Although it’s been years since I visited New York, there is an urban vibe to NADA and it feels like walking through a gallery district on a warm, summer evening. NADA will have 125 exhibitors representing 23 countries of which 37 are first time exhibitors, 64 are NADA Member galleries and 26 project spaces. I have yet to visit PINTA Miami and am looking forward to it! PINTA is in its 12th edition and in its main section, will include 60 galleries from Latin America, United States and Europe. PINTA Countries will have sections dedicated to Argentina, Brazil, Chile, Colombia and Mexico, and for the first time will include Spain. Other areas to visit are: Project Section; Proyecto Visible; Collections Program; PINTA Platforms; and PINTA Editions. This will be my first visit to PULSE Contemporary Art Fair. I’ve tried in past years, but being set apart from the other fairs on Miami Beach and not contained like the mainland ones made visiting a challenge. However, that’s just me and no reason for you not to visit. The 14th edition of PULSE exclusively showcases contemporary art, from over 70 galleries from countries including: China, Denmark, France, Germany, Israel, Italy, Japan, Korea, Netherlands, Scotland, South Africa, Switzerland and Ukraine. Like Untitled and SCOPE art fairs, PULSE is situated right on the Miami Beach sand. Whereas the North Tent houses the galleries, the South Tent presents SOLO exhibitions and CONVERSATIONS which are dual artist shows that encourage galleries to explore conceptual dialogues between artists who they represent. I have been secretly admiring SCOPE Miami Beach for the past few years. As a marketer, SCOPE is at the top of their promo game and, this fair and the way it’s presented is just outright cool. Gallerists are approachable, people look engaged and you can find some really unique and gutsy art at affordable prices. If you’re looking for a rest stop, SCOPE should be one of your top choices for light bites, libations and stellar views. 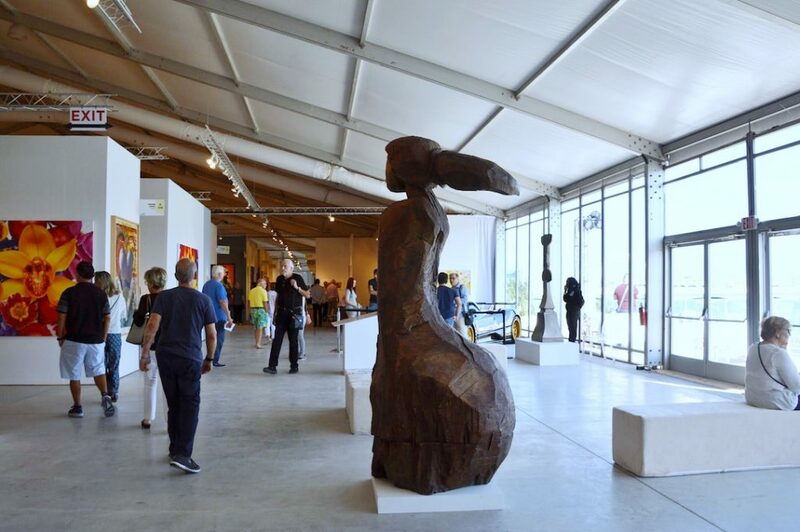 Celebrating its 18th edition, expect to see a diverse range of over 130 contemporary exhibitors. There’s also a New Contemporary section; a 360° experience of VIP Programming; Special Projects; Panel Discussions; Bombay Sapphire Artisan Series; Superchief Gallery; and publication, HI-FRUCTOSE will transform the SCOPE tent with ambitious projects featuring artists Okuda, Hot Tea, and AJ Fosik. Here’s another fair that does an outstanding job of marketing its event. Because of my job, I notice these things, but even if I didn’t, I believe, Spectrum Miami and Red Dot may be a great place for emerging and local artists to gain some exposure and hopefully, sell their art. Side by side, both fairs offer 100,000 square feet of exhibition space. Red Dot Miami is a curated gallery-only contemporary art show and Spectrum Miami features the work of more than 160 exhibiting artists and galleries from the Florida region, U.S. and around the globe. Here is the perfect opportunity to engage with the artists directly and “shop local.” I’m looking forward to my first visit! Superfine! 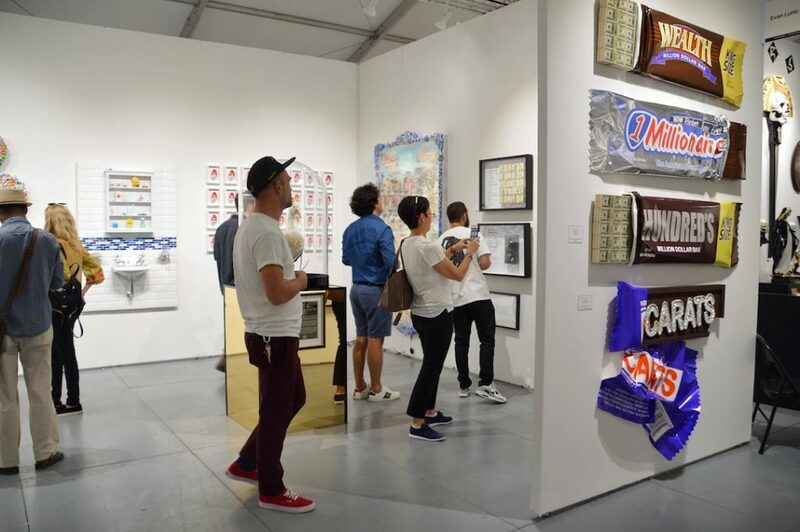 presents its fourth Miami edition presenting 38 solo artist booths and 11 galleries. If you find a work of art that you don’t want to live without, this fair helps to make it affordable offering tools like Art Money: zero interest loans and low monthly payments. 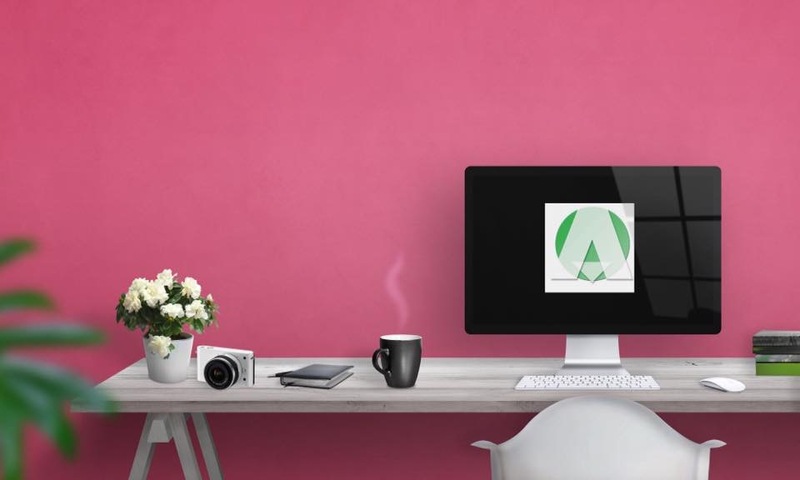 75% of the art ranges in price from $300 to $5000. In a press release, Superfine Director, Alex Mitow says, “Art should be about experiencing wonder and discovery, being enlightened and excited. Too many fairs and galleries get wrapped up in art world politics and forget their prime duty: to connect the work of talented artists with people who love and appreciate it. That’s the mindset we are seeking (and succeeding) to correct.” Don’t miss out on the Young Collectors; Ice Cream Social and other fun events. I am particularly interested in seeing the artist-focused special projects which explore themes such as collectiveness, displacement, migration, and precarious presence, transpiring from the artists and artworks presented by exhibitors. If you are a VIP member, be sure to check out the Podcast, Special Programs and Events. And, if you live close to Miami Beach, definitely take the mid-Miami Art Week Sunrise Yoga class break offered at the north end of the Untitled, Art tent. Thanks for making it to the end of the first #MyArtEscape listicle! I hope it was helpful. Until the next time, enjoy the trip, look closely to engage with art, and maybe start or add to your collection. @AllegoryPR #MyArtEscape on Instagram, Twitter and Facebook. “First you must like the wine. 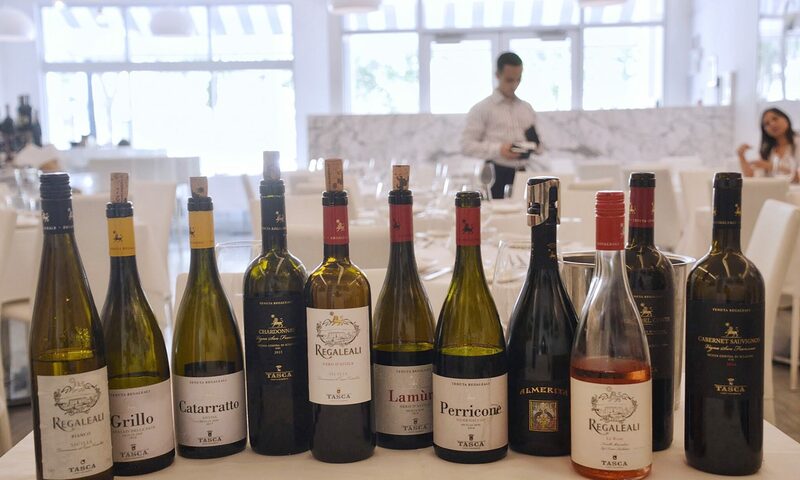 Then, look at the back and then look forward,” says Corrado Maurigi, Brand Manager for Tenuta Regaleali, with whom I had the great fortune of sharing a wine tasting lunch. Whether on my personal journey to discover art or now wine, Corrado’s statement embodies how I feel about learning. Our first response must be visceral. Forget about the market or what the critics say. Do you like it, hate it or love it? Then, investigate. Corrado’s presentation was a journey to Sicily. As we tasted and learned some facts and history about each wine, preconceived (American) stereotypes of this region marred by The Godfather and bad wine samples offered at the supermarket, melted away. Stories about the land, people and culture tickled our cerebrum and palate. 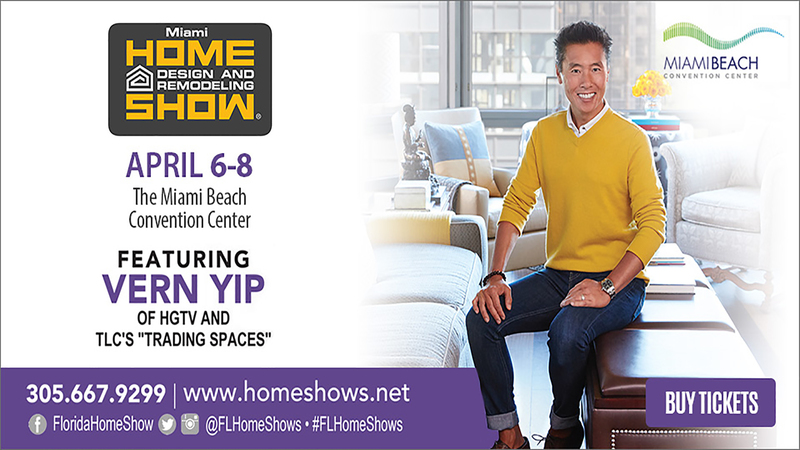 Design Trends, “Trading Spaces” Star Vern Yip and More at the Miami Home Show! 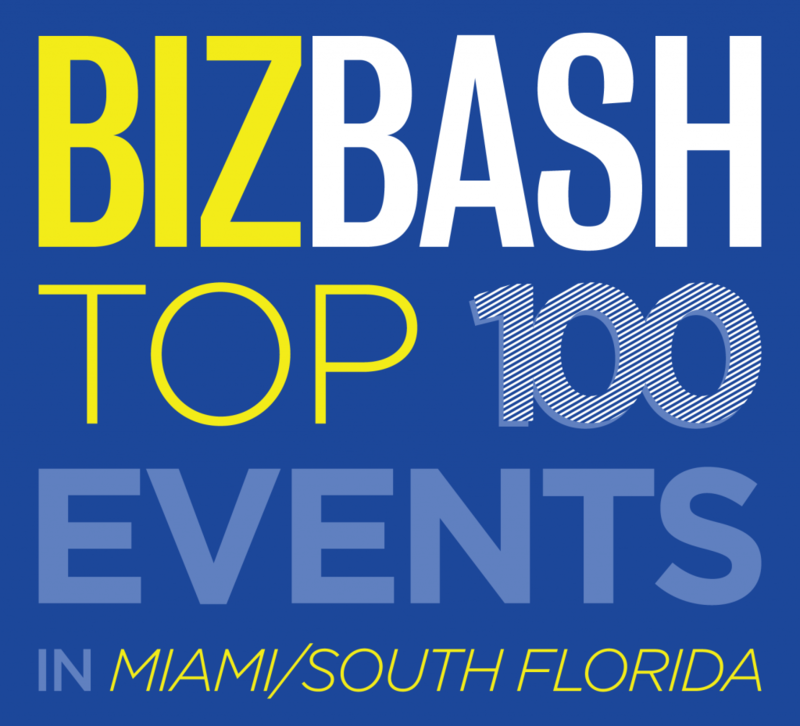 For the FIFTH consecutive year, BizBash names the Home Design and Remodeling Show as one of Miami/South Florida’s Top 100 Events and placed fourth in the Trade Shows, Expos & Conventions category. 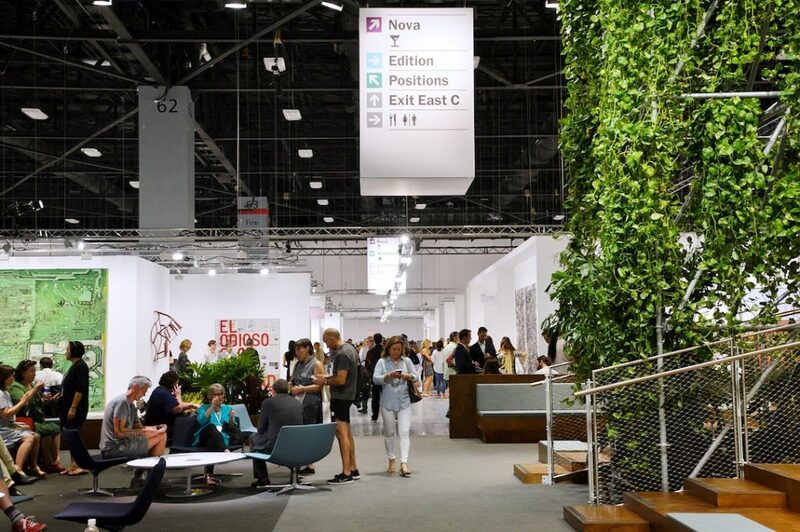 The Miami and Fort Lauderdale Home Design and Remodeling Shows have been South Florida’s largest and premier home improvement expos for over forty years.